With a projected compound annual growth rate (CAGR) near 8% between 2017 and 2021 in the botanical and plant-derived drugs market, pharmaceutical companies can no longer ignore the high-yield potential found within this explosive industry. Here's how things are changing and why you don't want to miss it. Increase in government initiatives for botanical drug production - Since the FDA declared botanical drugs officially legal in 2004, many government initiatives have followed. The government sees the growing demand and need within the market and has answered with a friendlier regulator environment for botanical drugs and a greater number of awarded contracts to large pharma companies. Growing demand for treatment options through naturally derived compounds - The increase in natural and holistic health treatment has long been on the uprise, however, both the traditional medical world and the holistic health camp have struggled to find a common ground. Consumer demand has now forced many companies to do just that. And the results are benefitting everyone. Increase in production efficiency, resulting in lower development costs - With improvements in modern agriculture reaching unprecedented highs, botanical and plant-based drug production has become a large beneficiary of lower costs for development. Increasingly open foreign markets for the exchange of materials - Hot markets such as China, India and others increasingly offer open exchange for botanical sources and materials used within the botanical drug industry. Growing limitations on traditional drugs - With the increase in regulatory requirements and greater stringency, it's no wonder the traditional pharmaceutical production has recently experienced a difficult "dry spell". Traditional pharmaceuticals now cost more, take longer and require greater effort to produce than they ever have. In short, the market is ready for explosive growth within botanical pharmaceuticals because of a variety of factors that have converged to offer a favorable environment. Make sure your company is positioned to contribute to this growth by outfitting your laboratory with the necessary equipment needed for proper research and development of botanicals. 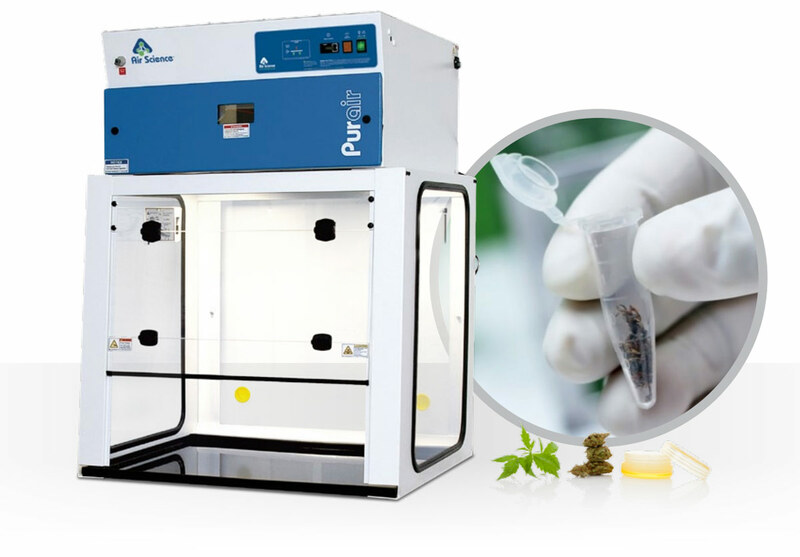 The Purair® Basic and Advanced Ductless fume hoods, the Purair BIO, and the Purair FLEX are all products that can assist botanical and cannabis manufacturers.